Movable type was about books, but it wasn’t just about books. Ideas spread. Literacy spiked. The elite monopoly on education and government started to crack. Luther’s 95 Theses were printed and circulated on a press, rocking Europe and he issued “broadsheets.” Broadsheets became newspapers; newspapers enabled democracy. The printing press ushered in social, political, economic sea changes. 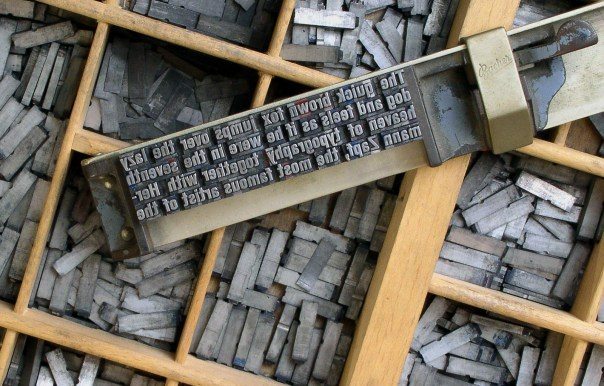 Gutenberg changed everything. WordPress has always been about websites, but it’s not just about websites. It’s about freedom, about possibility, about carving out your own livelihood, whether it’s by making a living through your site, or by working in the WordPress ecosystem itself. We’re democratizing publishing — and democratizing work — for everyone, regardless of language, ability, or economic wherewithal. Users will finally be able to build the sites they see in their imaginations. They’ll be able to do things on mobile they’ve never been able to before. They’ll never have to see a shortcode again. Text pasted from Word will get cleaned up and converted to blocks automatically and instantly. (I pasted the first version of this post from Google Docs and it worked great.
) They’ll start manipulating their sites in ways that would have taken a developer. They’ll be able to move from blogging to using WordPress as a CMS without missing a beat. Editing posts will just work; they’ll write more. They’ll learn blocks once, and then be able to instantly use and understand 90%+ of plugins. And as we work, we’re listening: feedback on core and feature plugins gets read, heard, and considered. Every review of Gutenberg, even the rude ones, has a response. Seven months of vigorous and public debate, chats, tickets, and code changesets brought us to where we are today, and there will be a fair amount more before we can present the Gutenberg vision in a mostly-complete state. I welcome it; apathy would worry me a lot more than than disagreement or controversy.